Michael Owen has predicted the result of this weekend’s clash with Leicester, and rather surprisingly he’s backed Arsenal for the win. He’s been notoriously anti-Arsenal over the years, but it seems either he’s done a bit of a U-turn or he hates Leicester even more. The former Liverpool and Manchester United man thinks it’s going to be a tight one this weekend, and believes it’s hard to pick a winner between the two teams. He’s tipped us to get a narrow 2-1 win though, citing the reverse fixture earlier this season when we beat them 5-2 at the King Power Stadium. “The big game of the weekend is Arsenal v Leicester, and it had me scratching my head,” Owen wrote on Colossus Bets. “I was at the Etihad for BT Sport on Saturday and you have to be massively impressed by Leicester, and their away record of eight wins, four draws, and one defeat are the results of champions. “Opposing a team with only two losses in 25 games isn’t easy, but Arsenal were responsible for one of those defeats – and that was a 5-2 win, too – and I take the home side to edge it 2-1. We’ve handed Leicester one of only two defeats this season, and they’re deservedly top of the table at the moment. We’re more than capable of closing the gap with a win though, and the team will know just how important this game is to our title challenge. Our form has been a little up and down recently, and we struggled for goals in the new year. 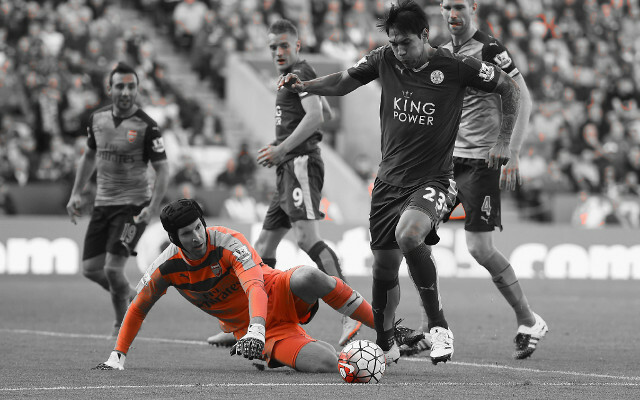 We got back among the goals against Bournemouth though, and Leicester aren’t exactly known for their tight defence. For once we’re on the same page as Michael Owen, and hopefully the player turned pundit is right about his prediction for the weekend.